Without having talked to the folks at White Paper Games, I don’t know what their exact intentions were when making Ether One. Was it to simply tell a story? Was it to give the player the opportunity to be in control of how much game they got? Was it to make the player think they were insane? Whatever their intentions, the resulting experience turned out to be a great one. At the start of Ether One, you are in the foyer of a building that feels straight out of Half-Life. There is an unsettling eeriness to the place, but then again what strange scientific building isn’t eerie? You are guided to a machine by a woman that is telling you what to do over the P.A. system. You sit down, and your journey as a Restorer begins. Your job as a Restorer is to delve into the crooked minds of people that suffer from dementia. You’re tasked to repair their minds by collecting fragments of memories represented by red ribbons. When you collect a ribbon, the same voice that guided you to the machine begins speaking. The voice isn’t trustworthy; she has to have an ulterior motive. She has to. The voice swings from condescending, to appreciative, to sad. While she isn’t trustworthy, she is your only real companion on this journey, and you have to stick together. As you wander around the beautiful harbors, villages, industrial complexes, and caves, nothing feels right. There is obviously something wrong, emphasized by all of these places being desolate and empty. It feels, at times, like you are at the center of some sick ploy, as if you are being toyed with. This feeling is enhanced by the side puzzles within the game. There are broken projectors around the world (all of which, save one, are optional) and you are tasked with figuring out how to repair them. Each one is a multi-step process. To repair the projector in the blacksmith shop, you need a bit of wiring and a way to reach the projector under some broken floorboards. It sounds simple enough, but it requires you to explore the world thoroughly and save the items you need. However, you don’t have a standard inventory; you can only carry one item at a time. To keep multiple items with you, you are required to return to the Case — a hub, of sorts, where you can store items, important notes, and various other things. 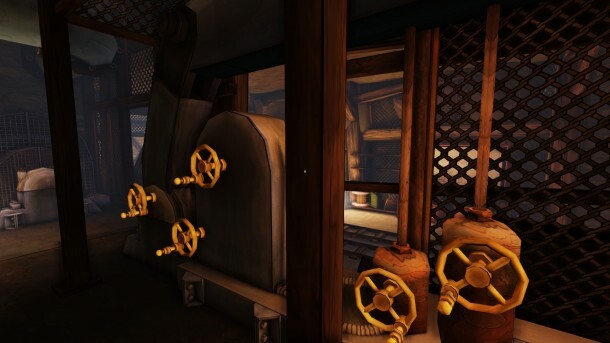 The Case feels a lot like the Sanctuary from Fable 3, as you simply button into and out of it with a single keystroke. As I stated previously, if you want to ignore all of the projectors you are free to do so. You would be missing out on some storytelling that comes with the completion of each task, however. I did skip several after banging my head against them for quite a while, and still feel like I got enough out of the game. For a world without any other people (it makes sense in the story, trust me! ), it manages to feel very full and believable. There are countless objects strewn about, all of which are in the right spots to add to the believable experience. Bibles are on nightstands, tools on a workbench, etc. One thing I have a slight issue with is the way some supplemental storytelling is done. For some reason, the characters that lived in these places never felt like talking to each other. Instead, they relied on writing notes… and leaving them inside their own houses and businesses. It just felt odd. Towards the end of the game, I started to think White Paper Games was trying to play tricks on me and make me think I was suffering from dementia. The way new characters, places, and ideas are brought up without any preamble made me think that I had forgotten some fact from earlier in the game. Multiple times I had to pause and rack my brain trying to decide if I had heard it earlier on. It helped add to the shifty mystique the world already had in spades. 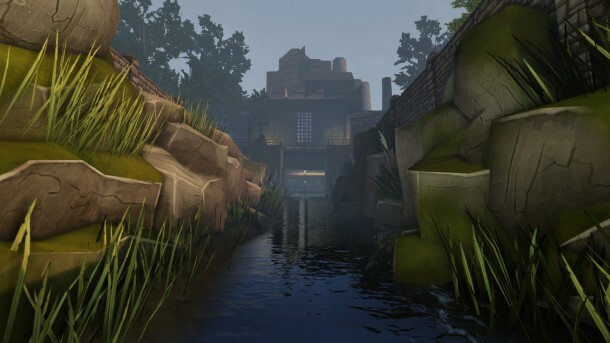 If you want a puzzle game that feels a lot like Myst, this game is for you. 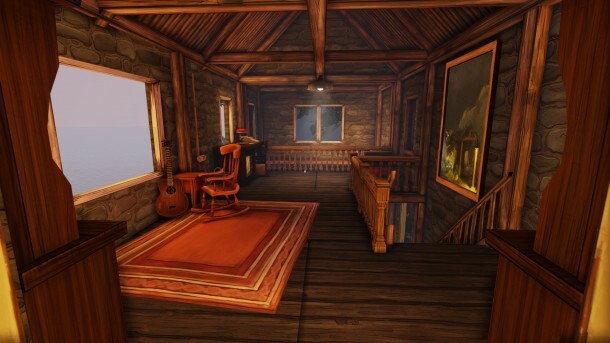 If you want a driven story a la Dear Esther or Gone Home, this is for you. The world is stunning and very well thought out, and simply existing in it can bring about a feeling that is rarely achieved in digital media. The last 15 minutes of the game brought about the same feelings of discovery that I felt when playing BioShock Infinite. I gained an understanding of something that I hadn’t previously thought about, and I am better for the experience. Play Ether One. This review is based on the final Steam version of the game provided by White Paper Games to the reviewer. News Director. Eric is an experienced freelance writer. He serves as a co-host of The SideQuest, the Lazy Sunday Gaiden, and plays far too many competitive games. When he isn't thinking about videogames, he is probably watching TV or a movie. You know, productive stuff.